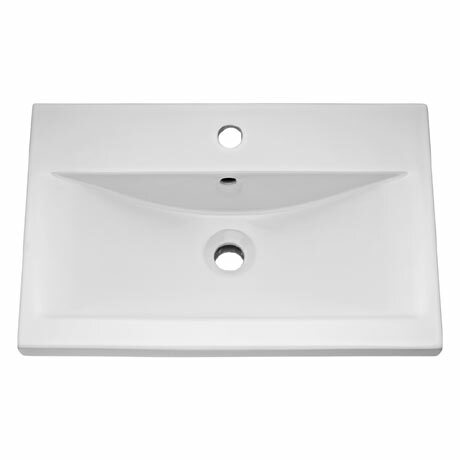 A replacement basin for Brooklyn 500mm vanity units. Made from high quality vitreous china, it features a single tap hole and integral overflow. Price shown is for basin only. Dimensions: (W)515 x (H)280 x (D)395mm approx.